C'est le 30 septembre prochain que paraitre en Angleterre le huitième roman de Roger Jon Ellory. The death of a young heroin dealer causes no great concern for NYPD Detective Frank Parrish - Danny Lange is just another casualty of the drug war. But when Danny's teenage sister winds up dead, questions are raised that have no clear answers. Parrish, already under investigation by Internal Affairs for repeatedly challenging his superiors, is committed to daily interviews with a Police Department counsellor. As the homicides continue - and a disturbing pattern emerges - Frank tries desperately to make some sense of the deaths, while battling with his own demons. Trying to live up to the reputation of his father, John - not only a legendary NYPD detective, but also one of the original 'Saints of New York' - the men charged with the responsibility of ridding New York of the final vestiges of Mafia control in the 1980s - Parrish struggles to come to terms with the broken pieces of his own life. But, as the murders escalate, he must discover the truth behind them before there are further innocent victims. 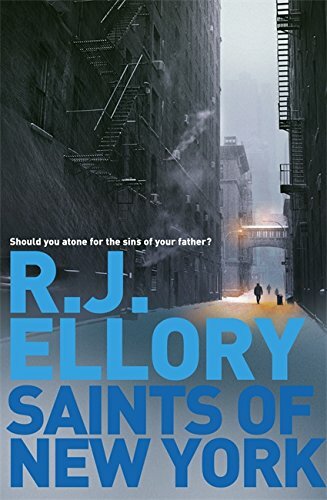 Dark and intense, Saints of New York is a novel of corruption and redemption, of the relentless persistence required to find the truth, and of one man's search for meaning amidst the ghosts of his own conscience. En attendant une éventuelle traduction de ce roman, les lecteurs français ont rendez-vous le 07 octobre prochain avec les Anonymes, toujours publié aux éditions Sonatine.